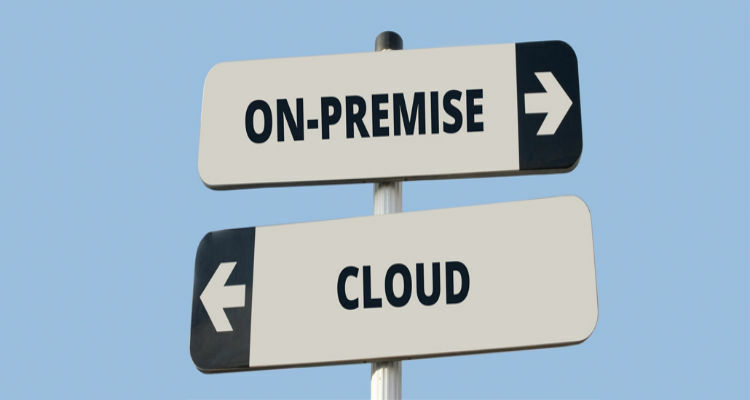 Microsoft Dynamics 365 Cloud or on-premise? Deciding on a new business software can be an arduous journey. If you’ve landed on Dynamics 365 as the best option for your organization, you’ve come a long way already, but you’ve still got a major decision left to make; how to deploy it. Dynamics 365 users have a number of choices when it comes to hosting their new solution. Initially intended to be cloud-only, Microsoft backtracked when it realized that demand for a locally hosted software was still high, and the suite is now offered via multiple means of deployment. How you choose to host your Dynamics 365 solution can significantly impact your business, dictating factors such as the features and services that are available to you, how and when you can access your software, and who is responsible for keeping your data safe. No matter which apps you choose, whether you license them individually or as part of a plan, or how many users you have, if you decide to use Dynamics 365, you’ll have options when it comes to how you host and access your software. Option number one, and the most popular choice for Dynamics 365 users, is deploying in the cloud. Cloud-based instances of Dynamics 365 are hosted on Azure, Microsoft’s web services platform, which allows programs and services to be built, tested, deployed, and managed from a network of managed data centers located across the globe. Hosting your software in the cloud essentially means that everything, from the program itself to your data, is stored online. Using the cloud means that you don’t physically own the software you’re using, and it’s not run from your own computer. Rather than purchasing a copy of the software and installing it on individual devices, you access it through the internet, in the same way that you’d log in to an email service provider website, like Hotmail or Gmail, to access your inbox, and draft and send messages. With a cloud-based instance of Dynamics 365, the software “lives” on Microsoft’s servers, so all you need to use it is an internet connection and a web browser. As the software is hosted on its own servers, Microsoft is primarily responsible for maintaining all of your software infrastructure from their end. This includes managing security measures, issuing updates, and performing data backups. Referred to as Local Business Data by Microsoft, on-premise is the “traditional” way to deploy software. This option allows users to host their Dynamics 365 software either on their own servers. Hosting on-premise means businesses keep all their data in-house; all communication with the cloud is switched off, and users are solely responsible for all upkeep and maintenance of the software. Contact us to find out more about these options and discuss your requirement with our experts.